Today, is another travel day: our third and last. We’re getting into a routine now. Today we’re heading to Xakanaxa Lagoon - another part of the Okavango delta – to an area known as the Mopane tongue. It’s about 45 km away; but it doesn’t matter how far it is - we’ll still be on the road for about 8 hours to give the guys time to set up camp and prepare dinner. The roads on this portion of the trip are much better than on our other two travel days – but “better” is a relative term. Because the distance we’re travelling isn’t great, Shaka has built in a long lunch break into our trip. Since we’re going to be stopped for a couple of hours, he decides we should have some chairs to make our long break more comfortable. Unfortunately, the chairs are at the bottom of the trailer - underneath all our baggage, so we have to unload all our luggage to get to them. After lunch I decide to have a nap in the vehicle. Being a short guy, I can stretch out over three seats quite comfortably. I’m not asleep ten minutes when I’m awakened by a commotion outside. I find the rest of the group huddled around our luggage beside the trailer. They seem quite agitated and are poking at something with sticks. I get up, grab my camera -since I have a sneaking suspicion that the sticks and noises can mean only one thing – snake! Maybe a black mamba –the most venomous snake in Africa! I muscle my way into the crowd, and find them poking at…. a pair of my underwear -that slipped out of my bag when we unloaded the trailer. They are trying to pick it up with a stick and put it back. It’s not even dirty underwear! With a disgusted noise I pick the gaunche, slip it back into my bag, and stomp back to the vehicle. Amazing! These people don’t fear hippos, lions, or leopards – but a pair of underwear? It must be a European thing. Our new campsite is the nicest yet. It opens onto a small grassy plain offering some nice vistas. Supposedly our tents and contents are supposed to be the same at each campsite; but I’ve noticed some subtle changes. For instance, at the first camp I had a black toilet seat, now I have a brown one. I also notice my bush shower doesn’t have the same flow it had in the previous two camps. It just sort of dribbles – like me. I complained about my shower during dinner and one of the Brits breaks out laughing; it appears he had the same shower at the last camp and is delighted I have it now. During dessert I excuse myself from the table, travel back to my my tent, lower the bucket and sneak over to the back of the Brits tent. I unzip the back tarp, lower his bush shower and replace it with mine and head back to my tent and install his in place of mine. I return to dinner with a smile on my face. “What are you smiling about?” one of them asks. Even though we’ve only traveled a short distance from our last camp I notice a big difference in the climate. It’s quite cool in the early morning – enough to warrant a fleece or jacket. By ten am it’s getting warm - by noon it’s bloody hot! We return to camp around noon after seeing the obligatory zebras, giraffes, impalas, etc. etc. etc. After a week it’s getting almost routine – still no wild dogs are cheetahs – I’m beginning to lose hope that we’ll see them. After lunch it’s too hot to nap in the tents so we all lounge outside the tents waiting for the water to arrive for our afternoon showers - which is the highlight of the afternoon – for several reasons. The water is delivered in order of the tents; so being in tent four I get mine late. While I’m waiting for my water, I hear a shout emanating from tent two. “Nothing,” I reply with a sweet smile on my face. There is more cursing, but I ignore it as my water has arrived. I’ve never enjoyed a shower more - but it’s cut short by a shout. I rinse the soap out of my eyes and look out of the screened window – and sure enough there’s a big elephant standing just outside my tent! …which is exactly what he does! He stomps off a hundred yards to a pond and begins to spray himself. How about that! I speak elephant. Check out the video! A few hours later a small herd of impalas wander by. This is a great site. Today is our last full day on safari. I don’t know if it’s just me but there seems to be a lack of enthusiasm in our group. After more than 80 hours of animal watching in little more than a week it takes a lot to spark interest. Even the most ardent birdwatchers in our group don’t seem to care. “Look a pink billed lark!” Shaka points out. It’s met with stony silence. Shaka stops the car. Several of us pretend to take a picture so he’ll move on. The most enthusiasm exhibited is when we stop at the park gate and there’s a race for the restrooms. In the afternoon we run into a small pride of lions – the first ones we’ve seen since Chobe. We never spot any wild African dogs, so it’s a bit of a relief when we pull back into the camp at dusk. As we’re getting out of the vehicles one of the Germans looks up and exclaims. Sure enough, milling around right in front of our tents is the elusive pack of dogs we’ve been searching for. “Back in vehicle,” shouts Shaka. We pile back into the vehicle and take off after the dogs. The dogs can cover an incredible amount of territory in just a day. We are travelling after them at more than 40km/hr and the dogs are pulling steadily ahead. I notice one of the dogs limping running way behind. We follow the pack until it’s too dark to see then head back to camp. The day and the trip concludes on a high. We’ve now set up camp near the Khwai river on Okavango Delta. There’s a reserve and a community area. That’s different than a park. 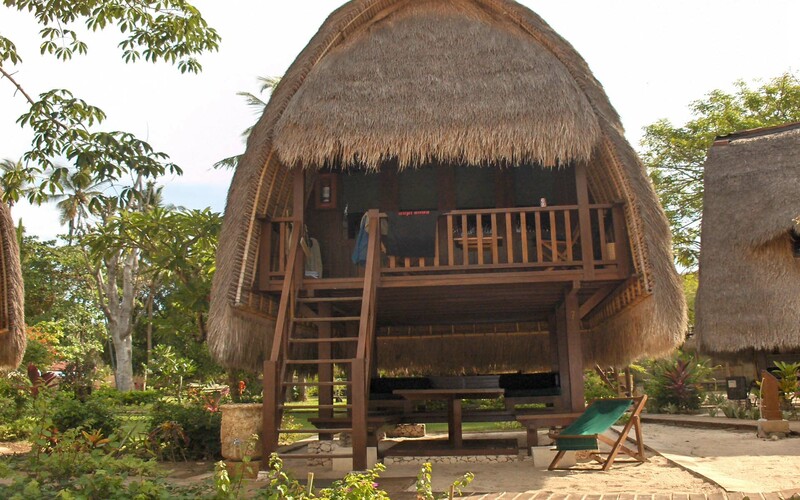 In the park there’s no commercial activities allowed – with the exception of a few sanctioned lodges. The reserve is an area where the animals are protected, but some commercial activities – such as mining – are allowed. The community area has no restrictions and where the people live. Our camp has been set up in a campsite in the community area. We rise at our usual early time and head out into the reserve. We have to sign in and that’s when we make a staggering discovery – They have modern washrooms at the reserve and park gates! They even have showers! There is a stampede for the washroom. People return with big smiles on their faces. Since we’ll be passing in and out of the gated areas every day the hated “long drop” toilets are now designated as “emergency” only. There are also several posters up asking people to let the researchers know if anyone spots or takes pictures of the wild dogs. I’m tempted to put a note on the bottom to let us know as well. Because the Khwai river. It’s not to be confused with the Kwai River in Thailand although some of the bridges over the river Khwai look like the bridge in the movie. – which I also visited) is no near that habitat is lush and green – in contrast to the Chobe park we previous visited. The majority of the reserve is populated with a thick mopane forest. Shaka spots a vulture circling in the distance and heads off road to see what’s attracting him. We find jackals crunching on the bones, while the vultures wait their turn. Shaka figures what we’re looking at was a happy, but slow-moving wildebeest who fell prey to lions a few hours earlier. I comment that I expected to see more vultures. One of the Brits comments that Vultures are now endangered – particularly in neighbouring South Africa. When I wonder what’s killing them, he tells me it’s locals. Evidently there’s a belief that sleeping with a vulture head under your pillow will increase your odds in winning the lottery – I’m not making this up – here’s the link. I can just see Lottery Night In South Africa. Lest you think this superstitious nonsense is only restricted to Africa, it’s a little-known fact that in the Godfather I after Luca Brasi put the horse head in Woltz’s bed both of them won the trifactor in Hialeah! Look it up! We saw lots of elephants and hippos, along with antelope, zebras and Giraffes. Around sunset Shaka stopped outside a hyena den. I have to admit of all the animals we’ve seen the only ones that truly scare me are the hyenas. All the animals in the park don’t seem to be concerned about the vehicles. They look at them as sort of moving scenery - they don’t seem to know or care that there’s “meat” inside them. All of them, that is, except the hyenas. They’re sort of like the velociraptors in Jurassic Park – they KNOW that there’s something edible in there. And if you’ve been paying attention, you’ll notice that the car is wide open – no locking the doors and rolling up the windows. The open car is sort of a hyena eating station. As the sun sets the hyenas stream out of their den and surround the vehicle. One of them actually begins to bite the tires. His teeth are so long and so sharp that Shaka is actually worried he might actually puncture it. The others stand on their hind paws and look up at us. Hyenas are one of the truly scary predators. Even lions are afraid of them. They are extremely intelligent – some say smarter than chimpanzees. They hunt in packs and are highly effective and fear nothing. I’m glad when we finally head back to camp. “How far is their den from our camp?” one of the Germans asks. Sure enough, around two in the morning I hear hooting and roaring as the pack as come to visit. I’m not sure how an eighth of an inch of canvas is going to keep a 150lb hungry carnivore out of me tent. I’d rather share my tent with a snake and two lions than a hyena. I pull the covers over my head and pray. Eventually they go away. I don’t get out of bed till I get my morning wake-up call. This morning we’re scheduled to take a water safari on mokoros. A mokoro is a type of boat used on the Okavango delta. It looks like a cross between a surfboard and a canoe. It’s propelled by standing in the stern and poling it along the river like a punt. It was traditionally made by digging out an ebony or kigelia tree. It’s now a popular way for tourists to get a different perspective of the river. The bad news is that the hippopotamus thinks it’s a wonderful game to sneak up under them and overturn them. Shaka drives us up to the river where the Mokoro guys are waiting. The first thing we notice is that the mokoros are no longer made out of wood. They’re made out of fiberglass. The guy in charge points out that they are much lighter and easier to carry. “And for the hippos to flip over,” I add. This gets me a dirty look as he pulls out a clip board with the liability release forms for us to sign. I try and scan it to see if hippo liability is covered, but it’s snatched out of my hands. We’re assigned two to a boat with a guy to pole us along and act as a guide. As we quietly glide along the river the guide points out the obligatory birds. “Is that a fluted seersucker?” I ask. “Ignore him,” the Brit I’m sharing the mokoro instructs him. We see interesting flora and fauna as we glide along. For me the highlight is seeing an African Boa. I’ll take snakes over birds any day. We also see some small crocodiles. 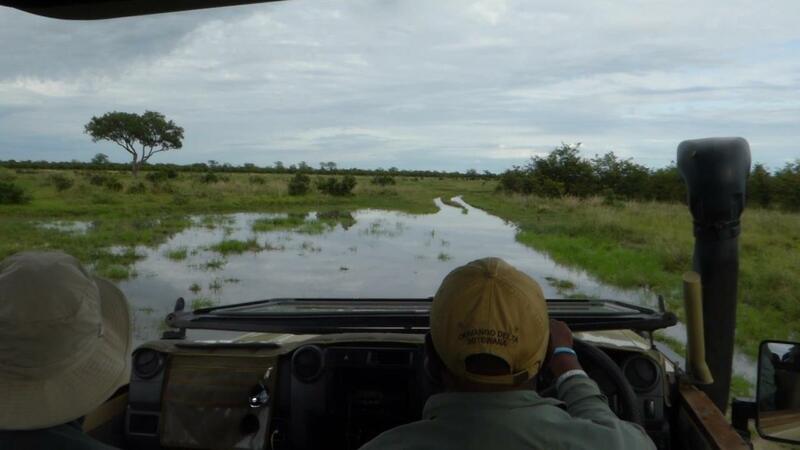 We can hear hippos laughing around the bend, but the guides won’t get anywhere near them. “What kind of birds are those?” I ask, pointing at two small grey lumps swimming towards us. We hold our breath as the hippo glides by not three feet away. After an hour of poling up river, we pause for coffee and cookies, then get back in our mokoros and head back to our starting point where Shaka is waiting. During the afternoon we spot a leopard. We actually don’t spot the actual leopard. We see the signs that a leopard is nearby – namely five other cars surrounding a tree. We drive up to see what they’re look at to be treated to a leopard fast asleep in a tree - no doubt dreaming of leaping down on one of those pesky cars and scaring the bejesus out of the occupants. After a while the other cars depart and we wait a bit. Our patience is rewarded when the leopard, seeing the show is over, nimbly climbs down the tree and slinks off into the bush. Tomorrow another travel day to our final camp. Happy Valentines Day! Today is the day my ten-day safari is supposed to begin and I have a lot angst about it. The previous few days have just been about getting here. Now I have to get to the starting point of my Botswana safari in Kasane. I’ve been worrying about this for weeks. I have to be in Kasane by 8:45am sharp. I’ve written to Raza several times about my concerns about the transfer. He assures me he’s contacted the BushTracks, the company responsible to get me there and they have it under control. When I arrived in Johannesburg the first thing, I did was take the representative who met me aside and ask if they had the transfer under control and realized I had to be in Kasane by 8:45 at the latest. Lest you think I’m worried about a simple transfer, let me explain something. This “simple” transfer from point “A” to point “B” which is less than 30 km involves no fewer than three different countries, four different guides, three vehicles and a ferry boat. Smuggling an allied flier out of occupied France was child’s play compared to this. The first guy was to show up at the hotel at 7:00am sharp. He shows up at 7:10. He informs me he has to pick up some other customers on the way. We wait 15 minutes at their hotel - they don’t show up. The bottom line is I arrive at the meeting place in Kasane ten minutes late – luckily they have waited for me. At the starting point I meet my fellow travelers: there was an English couple, a German couple, and a single German lady and single guy from England – seven in all. Our guide for the trip is a Zulu guy named Shaka. After filling out the requisite paperwork our first event is cruise along the Chobe river. We see crocodiles, hippos, and antelope. We also see rain. As the cruise progresses so does the intensity of the rain. By the time the cruise ends the rain is pelting down. I look forward to getting into a nice dry vehicle for the five-hour drive to our first camp in central Chobe. That’s when I receive my first surprise: we are travelling in an open Toyota Landcruiser. The The bad news is they aren’t very effective when you’re driving down a highway in the rain at 80km an hour. I have the poncho hood pulled up tight so I’m just looking out of a small hole for about five hours while my hand luggage gets soaked. Our main luggage is secured in a covered trailer behind us. At a rest stop I ask Shaka if I can climb in the trailer and ride with my luggage - it will be drier. good news is we’re provided with ponchos. Our destination is the Savuti Channel. It borders the Delta to the west and Chobe National Park to the east. It runs about 100km for the Chobe River to the Mababe Depression. It was flowing when Livingstone (I’m not sure if it was David “A” or David “B”) first set eyes on it in 1880. It’s been dry for the past 18 years. I receive my second surprise when we arrive at our camp and are assigned our tents. I knew I was staying in a tent, but I sort of thought it would be more along the lines of the tents I stayed in when I visited Kenya. The five tents are set up in a row. They are identical and I’m assigned tent four. There’s no sign designating it as such and during the day I get confused and enter the wrong tent several times much to the annoyance of my fellow travelers. My tent consists of a single bed and a small table. The “attached” bathroom is an open area surrounded by four tarps. In one corner is the “long drop” toilet – basically another name for a pit toilet. We are told we should dump a couple of shovel-full of ashes down the hole after each use. I have several friends who wouldn’t need to worry about doing that since there is no way they’d be using it. My friend, Dave, in particular is rather fussy about this sort of thing. He won’t use the outhouse at our summer cottage, saying he doesn’t want to be perched over a mountain of Groberman droppings. Another friend, Tom, boasts he once went for two weeks without going at summer camp. One of the guides at Victoria Falls told me that David Livingstone – I’m not sure if it was David A. Livingstone or David B. Livingstone – had his heart buried in Africa. I take some comfort knowing that some part of me will also be buried in Africa. In the other corner of the tent washroom is the bush shower – which consists of a galvanized bucket with a shower spigot attached to the bottom. Once a day it’s filled with hot water. The idea is to make sure you use the water judiciously lest you soap up and find you have no water to rinse off. This would be a major deal killer for my daughter, Aviva, who’s motto is the shower ain’t over until the hot water tank is drained – no matter how big the hot water tank. The deluxe bathroom is finished off with a canvas sink with a small mirror hanging above it. The good news on this safari ( and a selling point for me) is there’s unlimited booze: There’s G & T, for the Brits, schnapps for the Germans, beer for me and wine for everybody. I guess the company figures if you give the guests enough booze everything will look great. The first order of business after throwing our bags in our tents is dinner. Everything is cooked over an open fire or baked in underground bush ovens. I have to admit the food is pretty good. After more wine it’s off to bed. I can hear lions roaring not to far away, but figure I don’t have to worry about them. They won’t fit in my tent. Surprisingly I sleep quite well. We receive a five-thirty wake up call by one of the camp guys who pours a dab of hot water into my canvas sink. It’s raining again. I meet the others in the mess tent for breakfast which consists of cereal, yogurt, toast – with vegemite and tea and coffee – not quite the breakfast buffet I’d enjoyed the last few days. At six we’re in the Land Cruiser ready for our morning game drive. The highlight of the morning drive is encountering a pride of 14 lions. (Definitely worth watching the one minute video to the right) The patriarch of the pride is a magnificent male. While the females strut, the juveniles and cubs run ahead and play, he moves at a slow stately gate – proving beyond any shadow of the doubt he is king of the jungle – or bush in this case. We also see zebras, giraffes, and birds – lots of birds. My fellow travelers are all avid birders. To me a bird is a bird. Every couple of minutes one of them shouts, “Look there’s a blue-cheeked bee-eater” or “Grey-headed bush shrike. Stop! Stop!” and we have to stop for ten minutes while they click away with their cameras and ooh and ah. I find it all quite boring. After a few hours I decide to be a birder too. Part way through the morning the rain lets up and clouds parted. We head back to camp for lunch and siestas. Around four we head out again for our afternoon game drive. This time we see our first leopard. It’s a juvenile and it’s resting on a log oblivious to us. Maybe it was the rain, but we don’t see anything more exciting than a few more impalas and zebras – and birds. We are keeping our eyes out for African Wild dogs. They are an endangered species and very rare to see. We see tracks, but no dogs. I crawl back into the bed and pull the covers over my head. The storm continues. Around five o’clock Shaka comes by to tell us the morning game drive has been… postponed. “Smart move,” I reply, pulling the pillow back over my head. Around seven the storm moves off and skies clear. We have a late breakfast and are out on the road around nine. Because we are situated on essentially a desert – the Kahalari desert - the water, for the most part, drains relatively quickly, but still leaves huge “lakes” on the roads. This morning we have our first encounters with elephants – that were somehow missing yesterday. Several in our group are excited about seeing them. The elephants don’t reciprocate the feeling, shaking their heads, trumpeting and charging the car. “You don’t see birds doing that,” I point out. Lots more impalas (Chevrolets as I now refer to them), giraffes and zebras – but still no wild dogs – just tracks. After a dinner of roasted lamb chops, we sit around the outdoor dining table chatting. I see the Germans eyeing me strangely as I refill my glass with some more white wine. A short time later I excuse myself and head back to my tent. I sleep well. Unlike yesterday the skies are clear and I’m up early and the first one to breakfast. The Germans show up a short time later. “Are you okay,” they ask me with concerned looks on their faces. “Well that explains it,” I exclaim. Today is a travel day when we move from Chentral Chobe to Khwai. Our guide, Shaka, is concerned. It’s the rainy season and the roads are prone to flooding, and after the huge rainstorms we’ve just had he worries the roads may be impassable – even for a four-wheel drive Land Cruiser. He wants to get an early start so we’re up and having breakfast by 5:00am. While we’re having breakfast the three camp guys (who I refer to as Moe, Larry and Curly) strike camp. They load everything into a truck and set up the next camp site before we arrive. We are on the road by five-thirty and it’s soon evident Shaka’s fears are not unfounded. The roads are horrible. Just when I’m convinced the roads can’t possibly get worse – they do. We stop along the way to see the obligatory birds and to allow the guys to get ahead of us and have time to set up the camp. It takes us nearly 8 hours to travel the 40 kilometers, and when we arrive the camp has magically been recreated in its entirety on a new site. We’re all exhausted from our travel day so after a few drinks, it’s dinner and bed - no schnapps for Jeff – the Germans are guarding their bottle. Where the Hell is Botswana?? I wasn’t planning on going back to Africa so soon after my trip to Uganda and Rwanda. I figured after I’d seen the gorillas and chimps I’d seen it all. But after a few months I began to feel a tug to go back. “Just one last time,” I told myself. So I contacted, Raza Visram, from AfricanMecca. Raza’s my Africa ‘go-to’ guy. “Why don’t you try Botswana?” he suggested. I said I’d think about it. The first thing I had to do is figure out where the hell Botswana was. I figured it was one of those countries that used to be called something else, so I googled it. It was called Bechuanaland – which didn’t help. It sort sits on top of South Africa and is surrounded by Angola, Zambia, and Namibia. It was considered one of the poorest countries in Africa until diamonds were discovered in 1955. It now sports the largest Diamond mine in the world, so the economy is doing just fine. It has a very small population - only 2.2 million people - half of which are basically children - the average age is only 25. It sit on top of the Kalahari desert. Botswana became independent in 1966. I checked with a few of my friends and was surprised that so many of them not only knew where Botswana was, but had actually visited the country. All of them raved about it. I called up Raza and said I thought Botswana might be interesting. Maybe I’d try a different approach from my last trip to Uganda and Rwanda. On that trip I’d stayed at upscale lodges. “Why don’t you try a tenting experience?” he suggested. “You could contact the Letaka Safaris, run by Brent and Grant Reed. (Letaka is the Tswana word for “reed.”) He reminded me that I’d actually met Brent and Grant at a travel convention in Vancouver some years ago. I still had their business cards, so I contacted them and arranged a date in February. They suggested I take the Northern Highlights safari: a ten-day safari that included the Chobe National Park, the Khwai Concession Area, the Moremi Game Reserve and Okavango Delta. 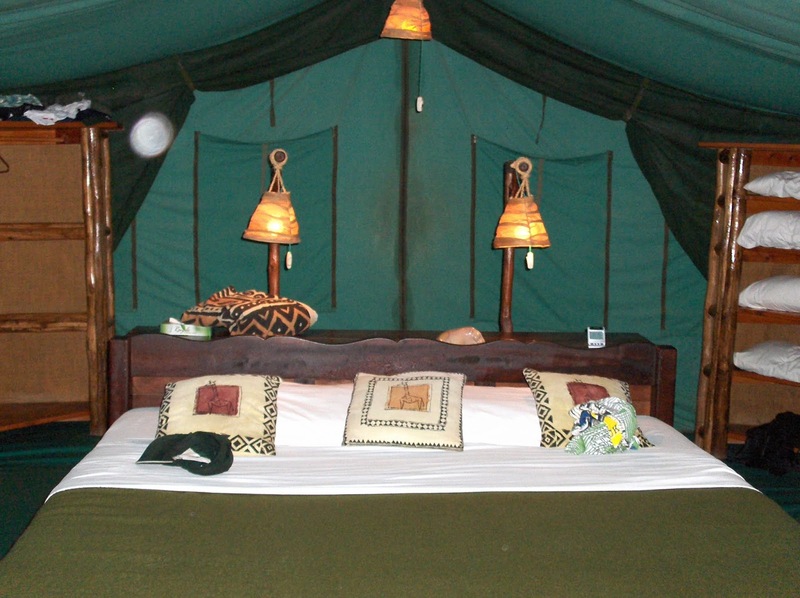 I would be staying in tents, but I’d stayed in tents in Africa before and they were really more like a fancy lodge. They had Persian carpets, writing tables, electricity, were on their own concrete blocks, and had luxurious bathrooms attached to the back of the tent. I could live with that. Raza suggested that I spend a couple of days in Victoria Falls before I joined the safari. The starting point was in Kasane just an hour drive from Victoria Falls. He’d arrange for a driver to take me their from Victoria Falls. So I left the arrangements to him. I wanted to arrive fresh for the safari so I decided to take my time getting to Africa. It’s a very very long haul from Vancouver. I found a KLM flight that had a built in 22-hour layover in Amsterdam. I’d used it last year on my trip to Uganda and it worked out well. I booked the same hotel I stayed in last year that had a free airport shuttle and breakfast. I also arranged for another overnight in Johannesburg before continuing on to Victoria Falls. I decided that I’d like to travel light. I was allowed two twenty kg bags, but I wanted to travel with just one, so I kept on pairing down my packing list. The literature for my safari said there was free laundry available, but they wouldn’t do “smalls” which I take it is another way of saying they wouldn’t do underwear, so I decided I’d need to take more than enough socks and underwear for the trip. I actually weighed my first attempt at packing and actually had only about 15kg – most of which was cameras, toys and cosmetics/medications. I was so proud of myself that I kept throwing things in every day. By the time I left home my bag weighed 19Kg!! My flight to Amsterdam left at 3:45. You’re supposed to be at the airport 3 hours early, but I generally find that 2 hours is more than adequate. Some of my friends show up barely an hour early and still seem not to have a problem. Me? I’m a worrier. I’d rather be early than late. And there were two occasions where I nearly missed my flights because of accidents on the highway to the airport. Michele dropped me off at 1:30. I made it through check-in and security and was at the gate before two which left my two hours to do nothing but twiddle my thumbs. The flight was a long ten hours (seems longer when your sitting in what they euphemistically call “economy travel"). The only hiccough was going through immigration in Amsterdam. They have two lines: one for European travelers and another for “others.” The line up for “others” was so long, they closed the door to the halls and only let us in a few at a time. It took an hour to finally get through. I grabbed the shuttle to the hotel, checked in, and grabbed a few hours sleep. When I went down to the dining room for supper I was told the kitchen was closed for renovations. The hotel, near the airport was in an industrial zone with no restaurants nearby, so I ordered a pizza grabbed a beer from the bar and took them up to the room. Even though the kitchen was down for renovations they still put together a respectable breakfast. I caught the 7:00am shuttle and headed for the airport. Given the problems I had with immigration the previous day I wanted to allow a lot of time to check in. It was a repeat of my Vancouver experience. It took less than 20 minutes to check-in and get to the gate. This time I was the first person there – so more time to sit around. By the time boarding time came around the gate was so crowded there was standing room only. It was a packed flight. I was in the middle row and my two seat mates was a South African couple who had immigrated to Canada. They spent most of the ten-hour flight telling me all the places I should visit in South Africa despite the fact I kept telling them I was only there overnight. They seemed so enthralled with their old country I wondered why they ever left it. Raza had arranged for someone to meet me and take me over to my hotel, City Lodge ort Johannesburg – which was literally attached to the airport. A charming lady named Louise from Thompson’s is waiting for me with a sign with my name on it as I get off the plane. She marches me over a by pass that joins the airport to the hotel lobby. She gets me in the line to register and says goodbye. “Aren’t you going to be here to take me back to the airport?” I ask. “you don’t know me,” I reply. The room is fine, but since it’s nearly midnight, there’s no time for any sightseeing. I just drop on the bed and try and get some sleep. I’m up early and head down to the hotel restaurant for the included breakfast. It’s the most impressive yet. A buffet that goes on forever. I finish breakfast and check out. I find what I think is the door to the airport and find that I’m in an emergency stairway. I try to get back into the lobby but find the door locks when you go out. I end up going up and downstairs until I find a hotel clerk going in. I explain my problem and he takes back into the hotel and down the elevator back to the lobby. He walks me over to the right door and walks me through it. “Then turn right. Hold up your right hand,” he demands. I raise my right hand. I find I’m the first guy at the gate for the two hour flight to Victoria Falls. We board the plane, push off the gate, then wait… and wait some more. Finally the pilot announces. We wait some more. It gets warm. Very warm. The flight attendants open up the cabin doors to get some air inside. Finally after another hour the pilot comes back on line. So we’re marched off the aircraft and wait some more. Finally three hours late we board another aircraft and head for Victoria Falls. When we land in Victoria Falls we’re met with more bad news. The pilot announces that because of a huge rainstorm they won’t be able to unload the luggage. So we deplane go through customs and wait another hour for the rain to let up. Raza has arranged for another person to meet in Victoria Falls. I figure there’s not a chance in the world he’s still there. But as I clear customs I see a guy with my name on it. He’s been waiting there for nearly four hours. His job is to take me to the hotel – actually half way to the hotel. He can only take me to the border. I will have to walk across the border myself and there will be another guy in an identical car to take me the rest of the way to my hotel. I get to the border, get out of the car, get my luggage and walk across the border towards the waiting car. I’m beginning to feel like a spy in a John le Carre book. Raza has booked me into the Avani Victoria Falls Hotel. At $350.00 a night it seems a little pricey to me, but Raza tells me that I’ll save money because the Hotel is actually inside the Victoria Falls and I won’t have to pay each time I come and go from the falls. I take some pictures, have a couple of beers at the pool bar then head into the restaurant for the buffet dinner that featured some local favourites like baby crocodile tail, bush stew, and worm salad along with the normal buffet bar. I pass on the worm salad. It’s dark when I’m done and as I’m crossing the grass to my room I trip over something and look down to see that I’ve tripped over a large crocodile who’s glaring at me with his mouth open. My screams bring the security guards running. They hit the crocodile with their flashlight beams and begin to laugh. It’s a wooden crocodile – one of many wooden animals they have on the grounds. Somewhat embarrassed I slink back to my room. I get up early have breakfast and waited in the lobby for my guide, Joshua, to show up for the scheduled tour of the Victoria Falls. I find I was the only one on the tour, which is nice, but I generally like to be in a group rather than by myself. Victoria Falls are impressive. They’re truly the Largest waterfall in the World. They’re 108m high and 1.7 km wide – almost double the height and a half kilometer wider than Niagara Falls. It depends how spectacular the Falls are depending on when you visit them. The water levels vary dramatically throughout the year. The lowest water levels occur October through December. The highest levels occur from February through August. If you’re viewing during this time, you’re going to get wet – very wet. Joshua shows me an impressive statue of David Livingstone, the first European to visit the falls in 1855. After two hours of viewing the Falls Joshua tells me he is going to drop me off at the border to be turned over to another guide who will show me the remainder of the falls on the Zimbabwe side of the border. When I’m finished that guide will return me to the border where I’ll cross again and Joshua will drive me back to my hotel. All of this is accompanied by much stamping of my passport. The first thing my Zimbabwe guide shows me is another impressive statue. “This is a statue of David Livingston,” he proudly tells me. “I’ve already seen him,” I tell him. He seems confused by my question. “David Livingston was the first white guy to see the falls,” he offers. “Who was the first black guy to view the falls,” I counter. At the end of the tour we stop at the bridge that separate’s Zambia side of the falls from the Zimbabwe side. The bridge is famous not only for the fantastic view of the falls but it’s where, for a mere $160.00, you can jump off the bridge, drop down 111 meters and bob up and down like a yo-yo until they winch you back up. I should point out there’s not enough money in the world that would entice me to do that. I watch a few crazy people fling themselves off the bridge then cross the bridge accompanied with more passport stamping and have Joshua drive me back to the hotel. There aren’t a lot of guest at the hotel that night, so they decide it’s not worth opening the dining room, so dinner will be at the pool bar. At the bar I meet a woman from Peru which gives me a chance to annoy her by practicing my bad Spanish. She hands me her camera and asks if I can take a picture of her with one of the crocodiles on the lawn. I tell her the crocodile is fake so she can walk right up to it and put her foot on it. As she places her foot on it, it begins to move. There is much screaming as she runs back to me, grabs her camera and offers some choice Spanish words I didn’t understand, but sort of gathered the meaning of by her associated hand gestures. Next: The Safari Begins: What's a drop toilet?